WHERE WE NEED TO BE! When Legionnaire Brian Galarza was hired by American Airlines in March of 2016 as a fleet service clerk at John F. Kennedy International (JFK) Airport, little did he realize that he would spur awareness for American prisoners of war and those missing in action (POW/MIAs). 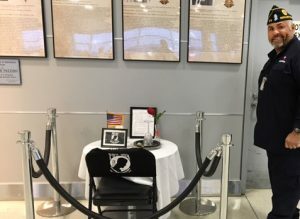 Brian Galarza and his POW/MIA table at JFK Airport (Terminal 8, Gate 12). On Veterans Day that year, he set up a POW/MIA table in the employee break room, which sparked “many questions by my non-veteran co-workers,” Galarza reports. In 2017, the retired Army sergeant (SFC) was appointed veterans’ coordinator for Local 501 of the Transportation Workers Union (TWU). Brian is a member of the Daniel M. O’Connell American Legion Post 272 in Rockaway Beach, Queens. Despite American’s CEO admitting that other airlines have better profit sharing, the company’s latest proposal is clearly insufficient. 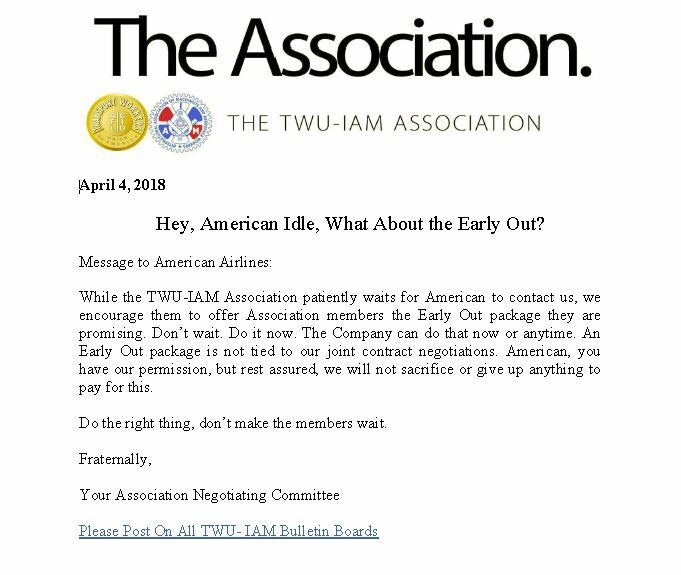 They refuse to improve your profit sharing and believe they shouldn’t fairly share the industryleading profits that Association members generated. 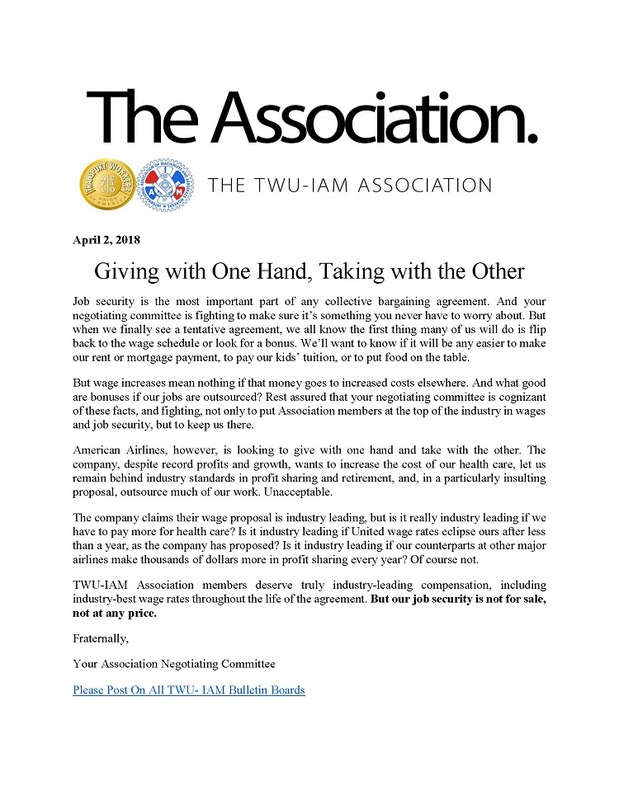 The Association will not let up in obtaining the value that the industry’s best profit sharing plan will provide to all Association members.